Saturday, I had the honor of presenting at the first annual Her View From Home Women's Retreat. It was such a great day, with a couple hundred women in attendance. We were blessed to have Tiffany Verzal as our keynote speaker. Five years ago, her 13 month old daughter was shaken at the hands of her day care provider and suffered traumatic brain injury. Her speech was emotional, inspiring, and uplifting. If you haven't read her story, find some time for it. It will definitely teach you that good things can come from bad. In between the shopping and goodies and socializing, there were mini-breakout sessions. I was responsible for three sessions on grief. Being a former teacher, I used to rock this speaking in front of people business. But considering that I haven't worked in over nine years, I really didn't feel like I rocked anything on Saturday; in fact, my sessions were "only okay." I would love to keep speaking on this topic and helping other women through their grief (and the plan is to have more HVFH retreats in the future), and I learned a few things on Saturday that will help me step up my speaking game. 1. Be specific rather than general. I really think I tried to cover too much material in a 15 minute presentation. I needed to narrow my focus and zero in on a specific area of grief. 2. Consider the audience. My audience happened to be all women who had either lost someone or loved someone who was grieving. I told them things they already knew. 3. Don't be tied to your note cards or script. And don't read your slides, if you have a Power Point presentation. I knew my speech forward and back, but yet I kept looking at my paper, sure I would forget something. I should have just spoken from the heart, because I kept bumbling my words. 4. Have passion for what you’re saying. If you don’t, your audience won’t either. Feel free to use emotion, inflection, a little drama, and confidence. It makes you more believable. 5. Don't look at the people you know in the room. Actually for some people, this might help them. For me, it only made me more nervous. 6. Be the expert your audience seeks. People actually came to get information from me. This didn't sink in until I was looking right at everyone. This goes back to #1. If I would have narrowed my focus more, my presentation would have been a little more expertly done. 7. Anticipate questions and be ready with additional information. I pictured my audience asking me about how my children were handling Joey's death. 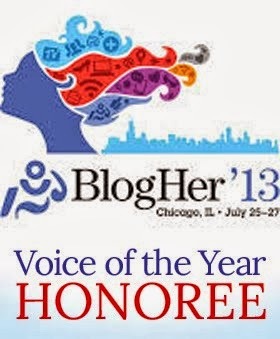 I had read a great article on that very topic the night before my presentation. I should have taken the time to print it out and have it ready. 8. Give your audience a useful take away. I didn't want to print hand-outs because people usually just throw them away. But, if you give them something valuable, then it's worth it. 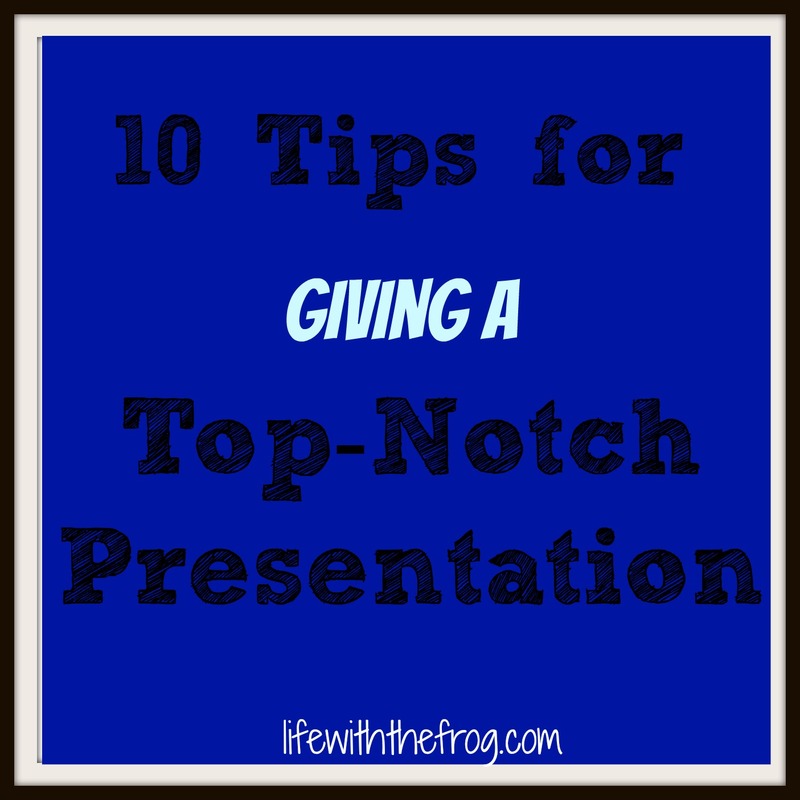 No one needed a hand-out of my Power Point - they already heard it. Going back to #6, though, I could have printed hand-outs of some grief resources and websites. 9. Continuously change and improve your presentation. Change it for a new audience. Update it with new information, websites, and statistics. Use fresh, up-to-date terminology. 10. Talk about yourself, but not too much. Unless people are there to hear your life story, find an equal balance of personal stories and revelations, and facts and information. I'm excited at the prospect of speaking again. I think that I have an experience that others can learn from and be inspired by. I just need to follow my own advice, and get to work on some improvements for next time. 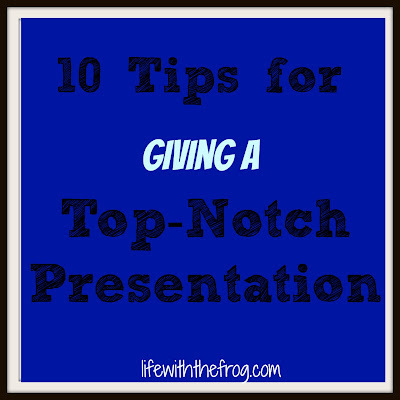 What advice would you add for giving a top-notch presentation?